The Roaman's catalog is a free women's clothing catalog that is a plus size clothing catalog that sells comfortable and stylish clothing in sizes 12W-48W, plus shoes 7-12WW. You'll find tops, bottoms, suits, dresses, swimwear, shoes, sleepwear, and lingerie all inside of the free Roaman's catalog. The catalog is 100% free without any string attached, so you don't have to enter in your credit card information or even create a user account. You can get a Roaman's catalog mailed to your home for free by visiting the Roaman's Catalog Preference page. What's great about this catalog request form is that it doesn't make you create a user account or put in payment information. Start by selecting the Request A Catalog from the list of options. Below that section, enter your first and last name along with your full mailing address. Then, just select SUBMIT at the bottom of the form to instantly send in your request for a Roaman's catalog. 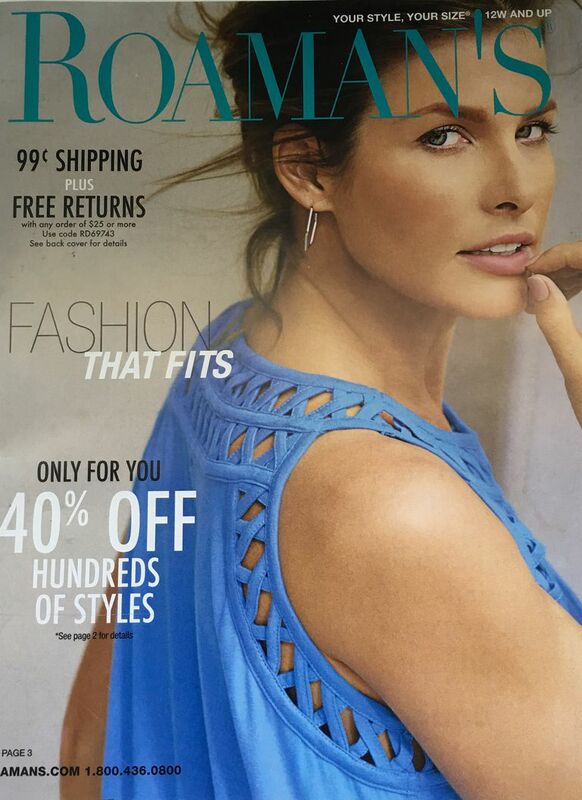 Look in your mailbox for your Roaman's catalog in 1-2 weeks. If you want, you can even select the Already Receiving A Catalog But Want More option on the same catalog request page to get a free catalog from similar companies like Woman Within, Jessica London, Brylane Home, ELLOS, and KingSize. If you want those catalogs too, place a checkmark next to Request a catalog for each one that you want sent to you, and then hit the SUBMIT button. The great thing about ordering multiple catalogs this way is that you don't have to fill out your personal information for each one. Just do it once, and you can get several catalogs mailed to you at the same time. The Roaman's catalog is sent to those who have U.S, American Samoa, Federated States of Micronesia, Guam, Koror, Marshall Islands, Northern Mariana Islands, Puerto Rico, U.S. Virgin Islands, and APO/FPO addresses. If you like the Roaman's catalog, you'll also like the plus size clothing catalogs from Lands' End, as well as other women's clothing catalogs from Delia's, As We Change, Chadwicks, Coldwater Creek, Appleseed's, and Alloy. Getting a free catalog is great, an ordering online from the things you find in the catalog is easy, but while you wait for it to arrive, you can also of course shop through the Roaman's website. There's a category just for new arrivals and one for clearance items. Additionally, there are dress shop, tops, bottoms, dresses, outerwear, lingerie, sleep, shoes, and swim categories to find just what you're looking for. Within each of those categories are some other sections that further break down what Roaman's has to offer to help you find things like casual daytime dresses, sweaters, cardigans, capris, leggings, career dresses, jackets, robes, pajamas, bras, socks, and kinds of shoes. 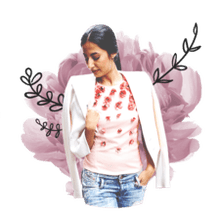 Another benefit to shopping Roaman's online is that you can filter the results by price to find cheapies like tops that fall under $20, as well as filter items by color, clothing size, and brand. Also check out the Roaman's Offers & Coupons page for discounts, and think about applying for the Roaman's platinum card for $20 in savings with your first purchase.